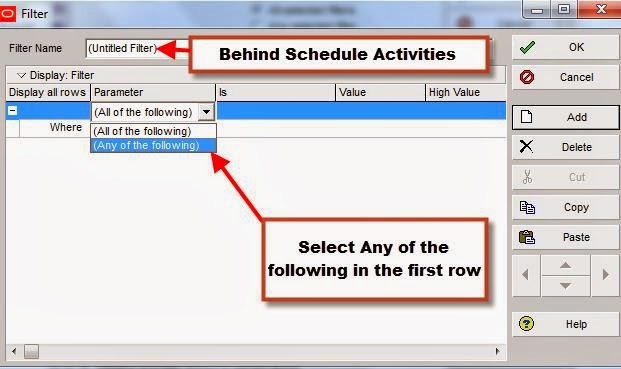 Primavera P6 Filters Most Used in Schedule Reporting (Activity Filtering)-Part1 tutorial has been published in the past and we have discussed how to build Lookahead filters. This is the second part that we will discuss on Schedule Analysis Filters. 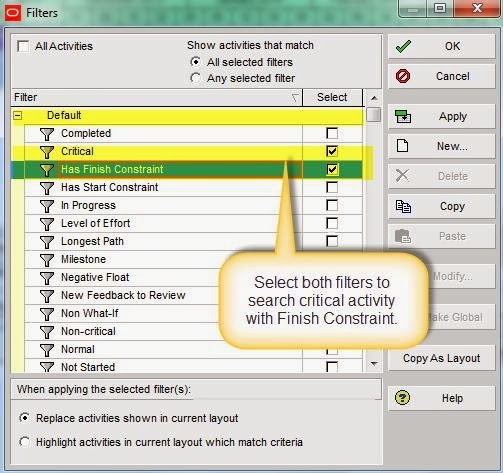 1) To find critical activities, Select predefined filter “Critical” listed under Default Filter list. See below. To understand more on default Critical filter, let’s find out what criteria is set for Critical Filter. - To view filter criteria, you need to copy it to user defined filter as you are not allowed to modify in default filter list. - Once you have copied to user defined filter, select "Modify" to see filter criteria. 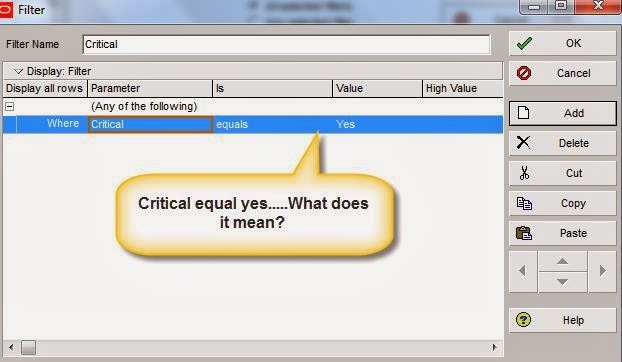 - Filter criteria for Critical: Critical equal yes (It means that critical activities will be displayed as set in project default setting). See figure below. 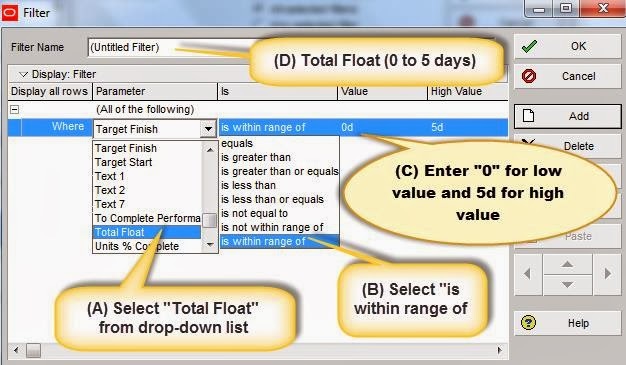 - As P6 project default setting for “Critical” is set to “Total Float Less than or equal to” 0, use this P6 default filter “Critical” if you intent to search critical activities with Total Float duration less than or equal to “0”hour (day). 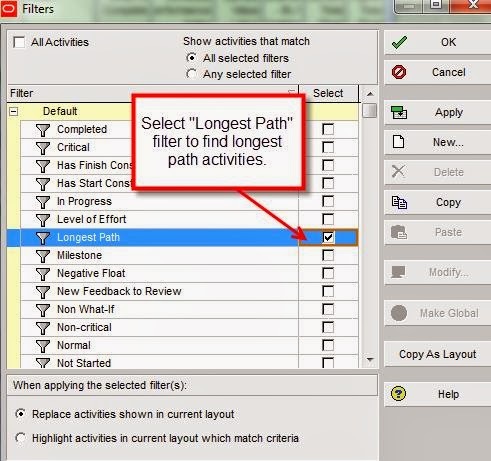 2) To find longest path activities scheduled to be done, select “Longest Path” ” listed under Default Filter list. 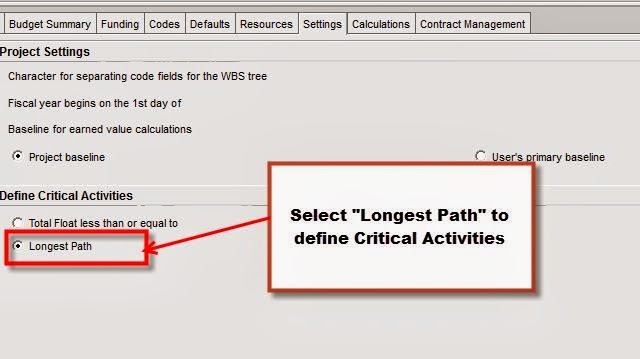 To understand more on default “Longest Path” filter, view filter criteria. 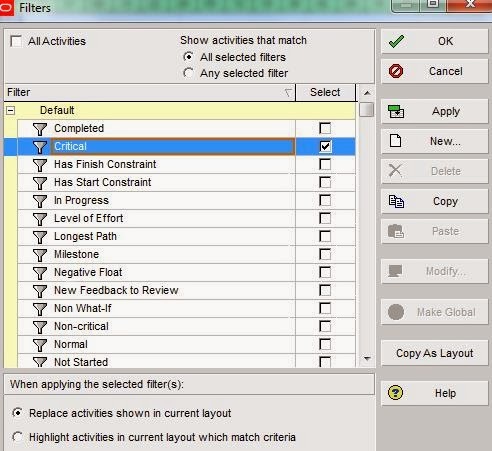 - To view filter criteria, select "Longest Path" filter , then copy it to user defined filter as you are not allowed to modify in default filter list. 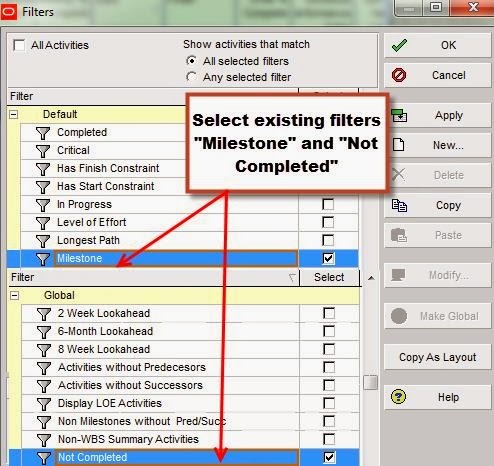 - Once "Longest Path" filter is in user defined filter, select "Modify" to see filter criteria. Then, you will see criteria for “Longest Path” filter has been set as below. Make sure you understand very well how the critical activities are defined and set in your project setting when you are dealing with longest path or critical activities . So, its total depends on how you want to define critical activities. If you want to define critical activity as longest path, select “Longest Path” In Project Default Setting or use “Schedule Option” window. 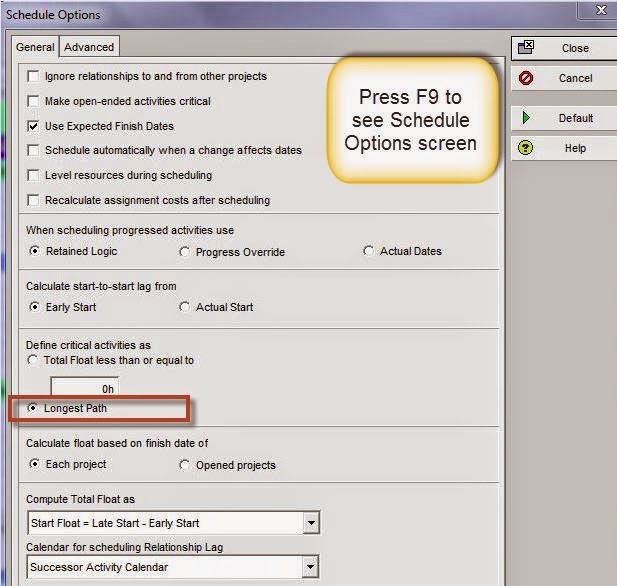 Select “Make open-ended activities critical “and “Total Float less than or equal to” in Schedule Option box. P6 existing default filters are handy to analyse in-depth schedule analysis if you know how to utilize them. 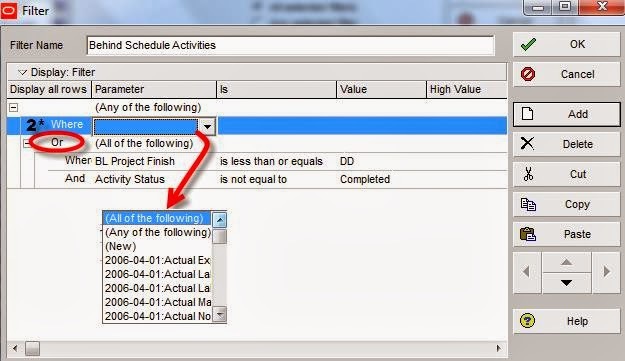 1) To find Critical Activities with “Finish Constraint”, select both “Critical” and Has Finish Constraint”. See below. 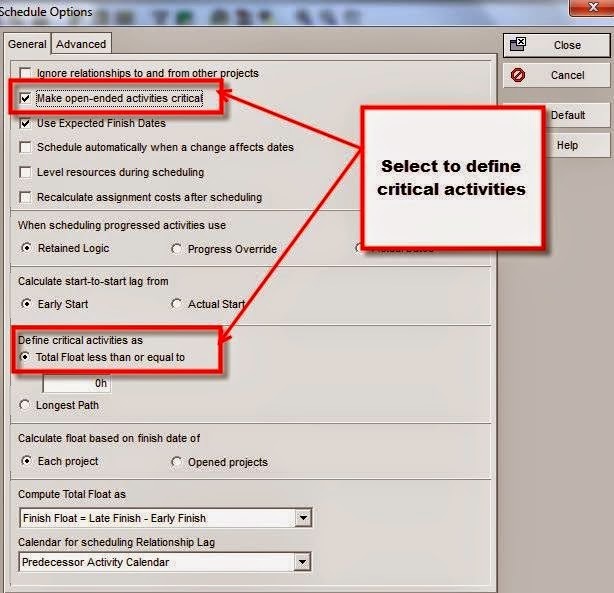 2) To find Critical activities with Start Constraint, select both “Critical” and “Has Start Constraint”. 3) To find Remaining Critical activities that have been started (in progress), select both “Critical” and “In progress”. 4) To find Negative float (total float less than “0” duration), select “Negative Float” filter. 5) In case you might just want to review critical milestone activities, then select both “Critical” and “Milestone”. 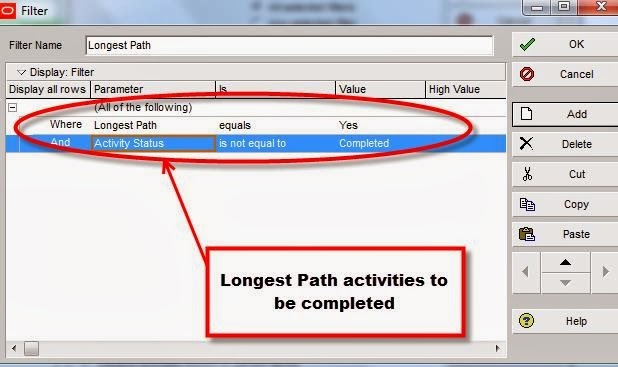 6) To find milestone activities on longest path, select “Longest Path” and “Milestone”. Suppose you are working on a major capital project with thousands of activities. Then, you might want to review activities with total floats, for instance. 1) Go to “Filter”, then select “New” to create new filter. 2) Untitled filter (a new filter) box as shown in below will appear the moment “New” tag is clicked. 4) Once you have done item (3) , click “Ok” and then select “Apply” to see filter result. Follow the same steps as above (0 to 5 days total float), with the following changes. (B) Enter “30d” to find the activities with total float duration more than 30 days. See below. It is handy to create a filter that search delayed activities in case your project is running behind schedule. 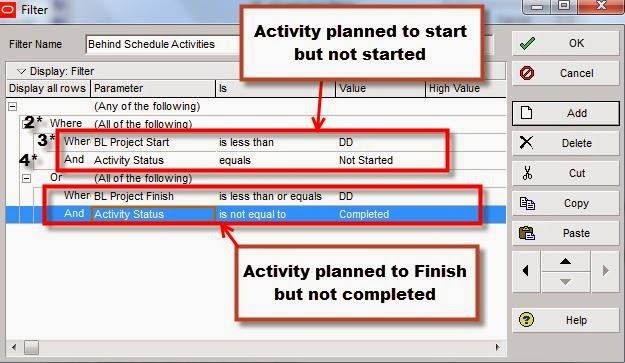 By using “Behind Schedule Filter”, those delayed activities can be highlighted to action owners so that they can stay focus on their action items. 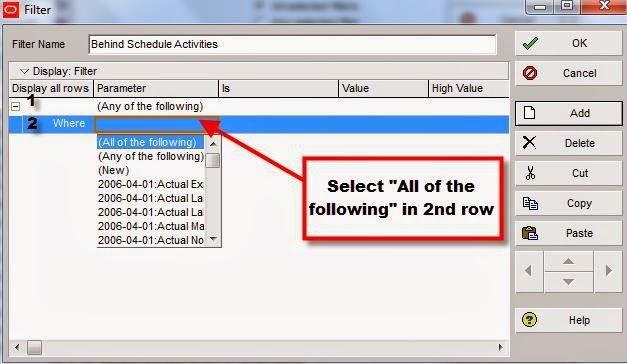 You need to know how to build “And” and “Or” options filter (create a nested filter) in order you to build behind schedule activities filter. 2) Untitled filter (a new filter) box will appear the moment “New” tag is clicked. 3) Name the filter as “Behind Schedule Activities”. 5) Select “All of the following” in 2nd row. Add” Activity Status” is not equal to “Completed” in 4th row. 8) Select 1st row and add new row for additional criteria. 9) The moment “Add” tag is selected, a new row (2*) appears as 2nd row of the filter and the additional function “or” also appears in the filter box as below. 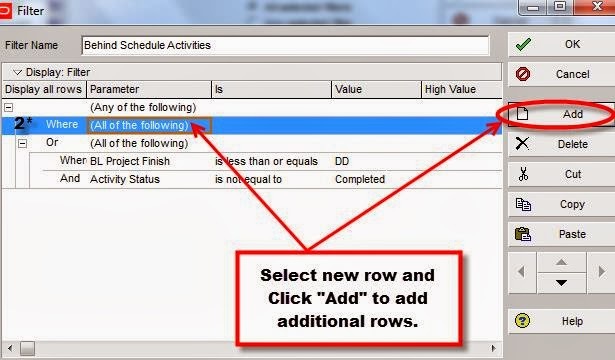 10) Select the new row (2*) and click “Add” to add an additional rows. 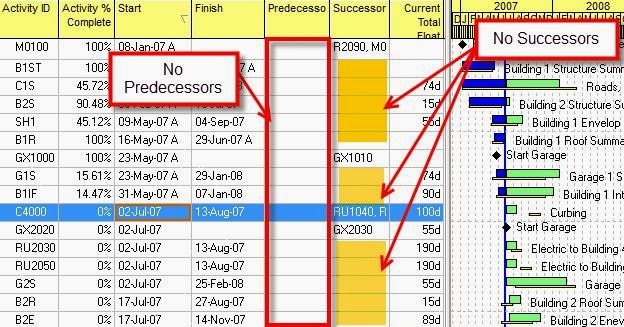 11) Once a new row (3*) appear, select “BL Project Start” and set the criteria as “is less than DD”. 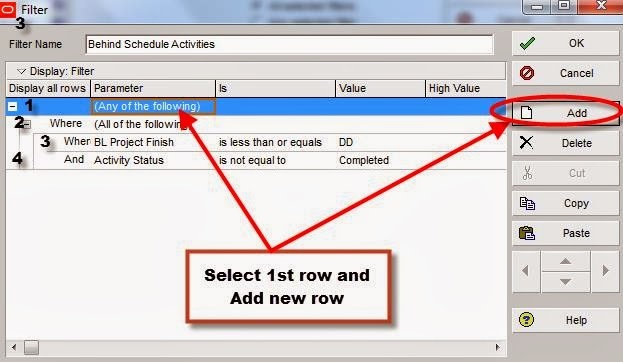 12) Then, add a new row again (4*) and select “Activity Status” from drop-down list. Set the criteria as “equals Not Started”. 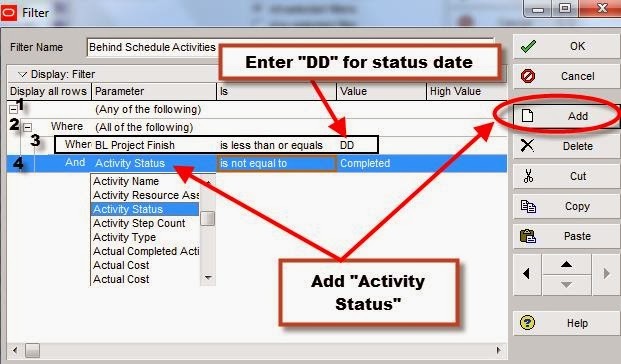 (b) Activity planned to finish by status date but not completed. 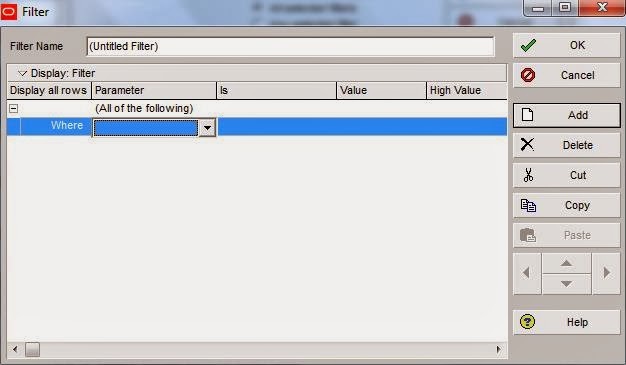 13) Click “OK” to close filter box window, then “Apply” filter to run filter. You should be able to review activity lists that are behind schedule as below. 1) First of all, build a customized filter for “Variance-BL Project Start Date” as this is not in predefined filter list. 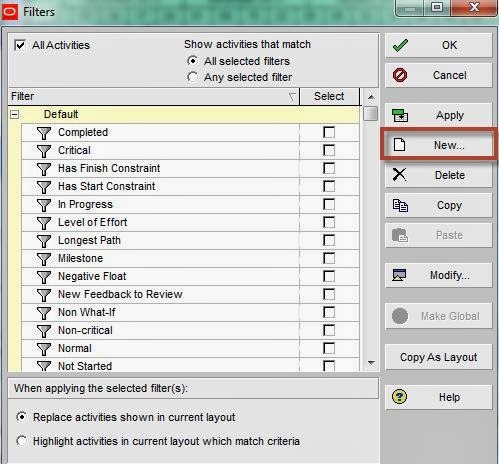 2) Go to “Filter”, then select “New” to create new filter. 3) Untitled filter (a new filter) box will appear the moment “New” tag is clicked. 4) Name the filter that makes sense for project team. 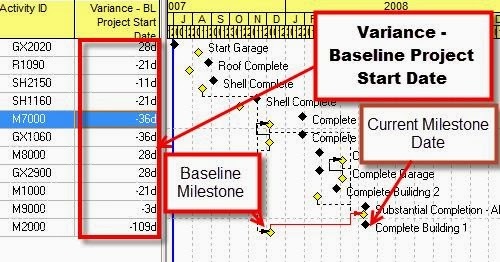 For instance,” Variance Baseline Project SD not equals to 0 (see below). 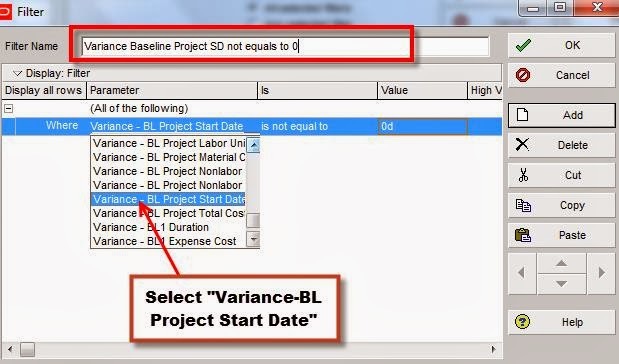 5) Select “Variance-BL Project Start Date” from Parameter drop-down list and set the criteria as “Variance –BL Project Start Date is not equal to 0d” (d for Date). See below figure. 6) Click “Ok” and select the existing predefined filters “Milestone” and “Not Completed” to filter remaining milestone activities. Finally, you should be able to see schedule variance for Milestone as below. Negative schedule variance means project is behind schedule and positive means project is ahead of schedule. 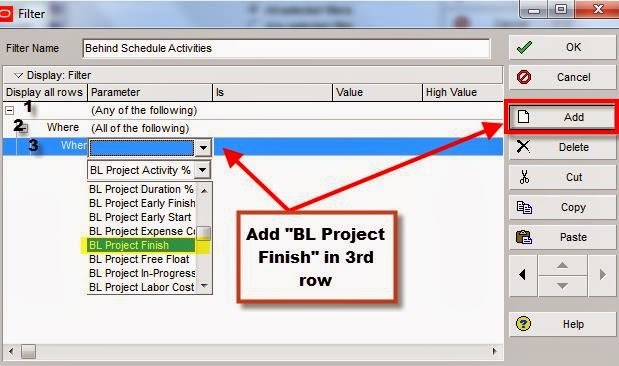 Show the column “Variance-BL Project Start Date” to see schedule variance in activities view. 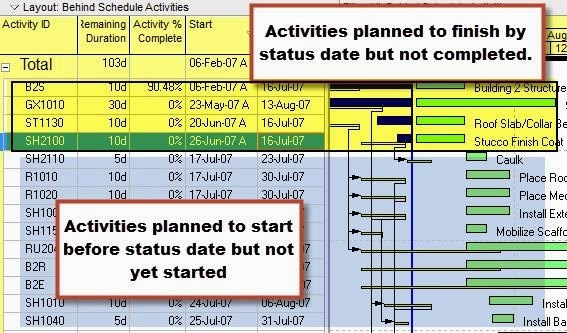 In order to monitor project performance, make sure you have a good schedule. All activities must have a predecessor and a successor except project start and finish. So check any broken project logic activities when you review project schedule. 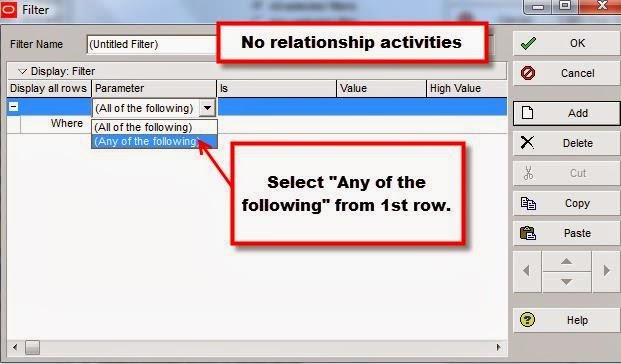 3) Name the filter as “No relationship activities”. 5) Select “Predecessor” in 2nd row. Set the parameter “Predecessors” equals blank. See below. 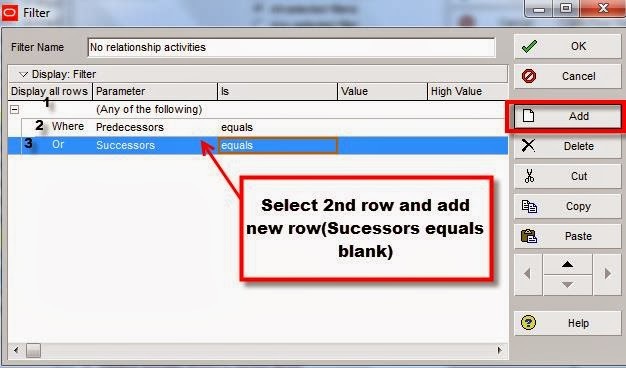 6) Select 2nd row and add a new (3rd row) to set filter parameter as “Successors equals blank”. See below. 7) Click “Ok” and “Apply” to run the filter. 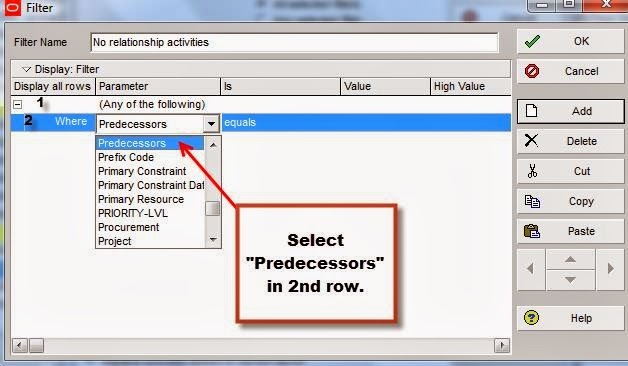 8) Show “Predecessors and Successors columns if you want to display activities with no relationship. All activities (completed and remaining activities) with broken logic are displayed if you just use this filter alone. 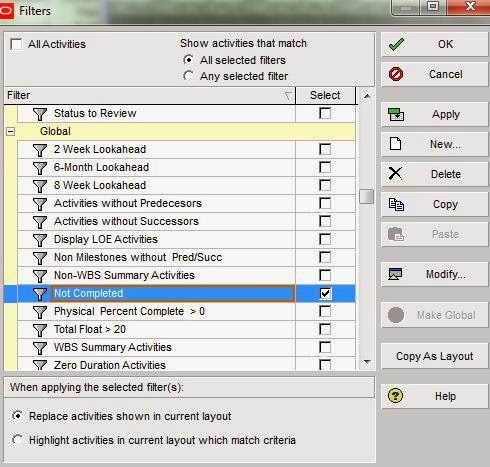 9) Select additional filter “Not Completed “from Global filter list to show remaining activities with no relationship (broken logic). See below. I hope you learnt how to build Schedule Analysis Filter by now. Happy Scheduling. I am trying to get an accurate histogram. Issue is I cannot get the Budgeted Units on the Details View, Resources Tab to show a NEW duration. BUT, now the duration has changed to 8 hours. I change the duration to 8 hours. But the Budgeted Units Column does not change. The Budgeted Units / Time changes to .50h/h (meaning the techs are available for half of the duration which makes sense). How do I get the Budgeted Units to change with the Original Duration of the activity? I need it to show h/h for the entire duration for each Role.